This dish is a no onion garlic recipe. Such recipes are perfect during festive occasions. 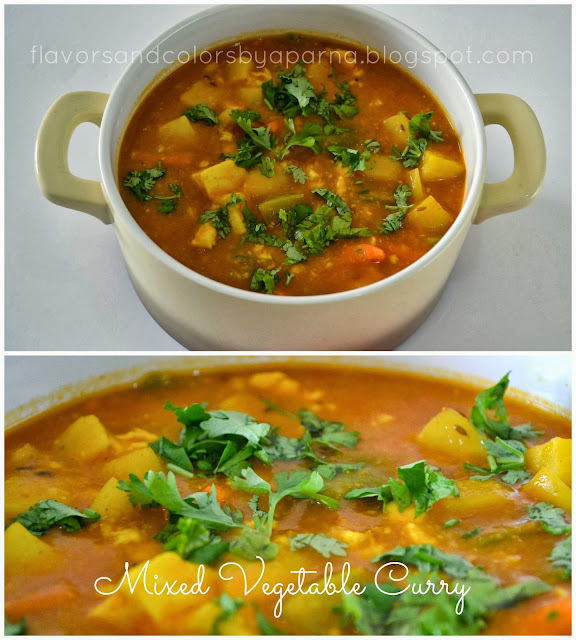 I cooked this mixed vegetable curry as an accompaniment to No onion garlic Vegetable Pulao. Heat oil in a pan. Add cumin seeds and when it splutters, add chopped tomatoes, turmeric powder, red chili powder, coriander powder, cumin powder and ginger paste. Saute it nicely till the oil separates. Now add cubed potatoes, carrot pieces, chopped capsicum and saute it nicely till the veggies get nicely coated with spice powders. Add crumbled paneer, tomato puree, bread crumbs and 1 cup of water. Mix well. Add salt according to taste. Cover the pan and continue cooking for 5 minutes or till the vegetables are completely done. Switch off the flame and garnish the curry with finely chopped coriander leaves. 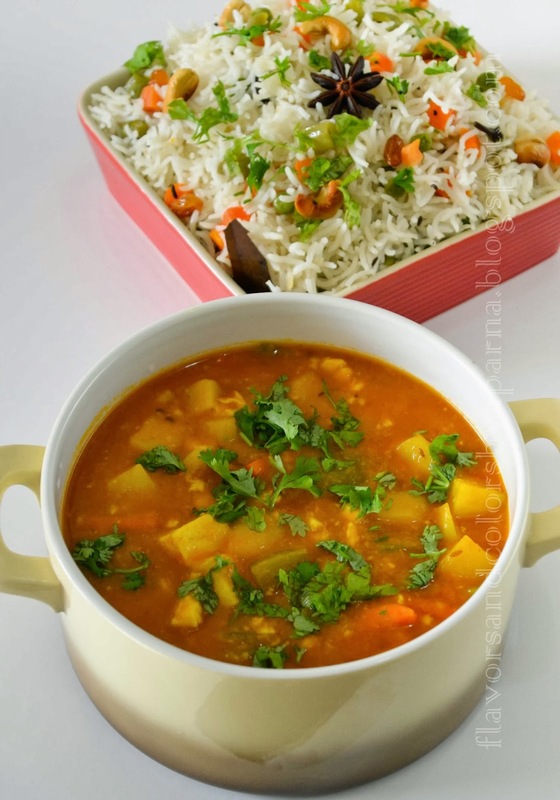 Serve it hot as an accompaniment to rice or rotis. Linking this post to Side Dish Mela.